To pick a top beauty professional, salon and Spa application are the best. This application helps multiple users to connect with the all type of beauty professional within a second. To make the life of common people easy, Salon application development is the best way to work with. Contact us today! 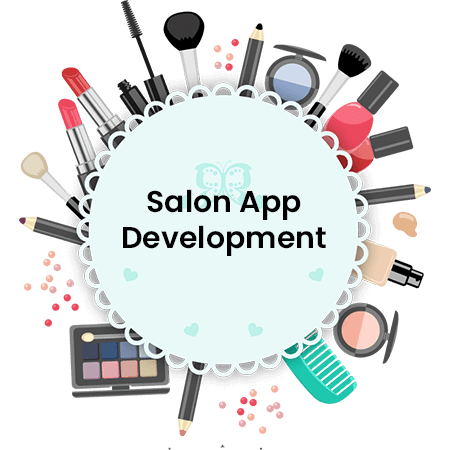 If you are also one of them who is interested in beauty salon application development. How we cut our way through Salon Application development company? Along with the changes in the time, people are changing their thoughts. Yes! If we compare the today’s generation with our elder once then there is a lot of changes you can find in their lifestyle. 21st century became more conscious about their look and health. They used to went the salons when they have to attend an event in nearby days. Our precision and perfection in delivering our top notch Salon app development services. Salon application can increase your visibility, attract new customer, and helps to build a good customer base. All of these credits can be achieved through the best mobile application development. At Concetto labs we can help you to create your salon application by applying following services. We can create an application from where you can book your appointment for your treatment. Spa delivery apps will give you the home service of Spa treatment after booking an appointment. If you want changes in your hairstyle with your look from the professional hair expert you want can be possible through Hair Salon Application. If you want any makeup and beauty treatment at your home or if you want to book an appointment for the same can be possible through Beauty Salon App. You can book your appointment for Be U salon from your mobile application and website and go for the treatment. YLG is the new home salon application which allows you to get such refreshing Salon treatment at home. You could paint on different skin color from loads of nail polish colors through an application. You can manage all your salon’s operation through just a software which is known as salon scheduling software. You can hire the best Salon app developer from the Concetto labs to create your own application at very cost-effective rates. Why are we your first choice for Salon app development company? We have the team of professional salon application developer, who can give you satisfactory results on your needs. We can work on all the latest features you want to apply in your application. Our developers are expert in their profession. We spend months in designing, developing and testing your website and application to give you the best results to win the competition. With the huge experience in IT outsourcing now we can work on any type of simple to complex projects. How we strive to be the best at the cutting edge competition? We always deliver 100% secure development solutions to our clients. So, they need not face any security issue. After completing your project, our relation will not be ended. We will be always there to support you. We always work with the qualitative solution delivery. We have never compromised, we are not compromising and we will never compromise with the quality of services. You can choose the custom brand name you want. We will share you the admin credentials, so you can change the brand name whenever you want to.